This took place to fulfill what was spoken by the prophet, saying, “Say to the daughter of Zion, ‘Behold, your king is coming to you, humble, and mounted on a donkey, and on a colt, the foal of a beast of burden’” (Matt. 21:4-5). Five days before his crucifixion, Jesus rode into Jerusalem on a donkey. We call this day Palm Sunday. The event itself is known as the triumphal entry. What was the significance of Palm Sunday? Why did Jesus decide to ride into Jerusalem on a donkey on that day? 1. Jesus presented himself as king. 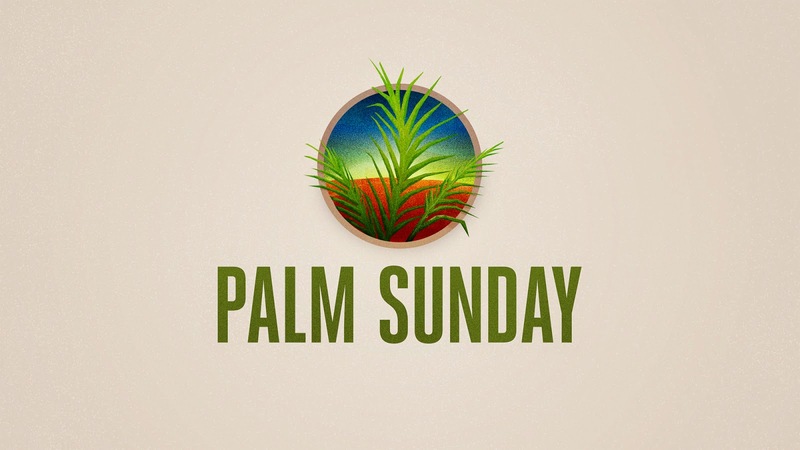 As Jesus rode into Jerusalem on Palm Sunday, the people cried out, “Hosanna to the Son of David!” (v. 9). “The Son of David” was a messianic title. 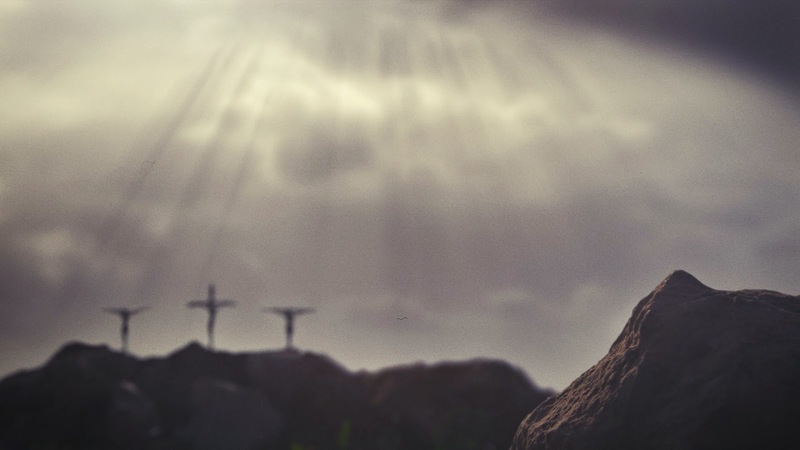 John writes that the people called Jesus “the King of Israel” (John 12:13). 2. Jesus presented himself as meek. The excited crowd exclaimed, “Hosanna in the highest!” (v. 9). “Hosanna” literally means “save us.”  However, by the first century it had become a cry of praise to God. Regardless, it’s clear that the people had salvation on their minds. The first part of v. 5 (“Say to the daughter of Zion”) is a quote from Isaiah 62:11, which goes on to say, “Behold, your salvation comes.” The people understood that the king had come to bring salvation, but they were confused as to what kind of salvation Jesus had come to bring. The people also “cut branches from the trees and spread them on the ground” (v. 8). John’s Gospel tells us that the branches were “branches of palm trees” (John 12:13). About two hundred years earlier, a Jewish rebel group known as the Maccabees liberated Judea from Antiochus and the Greeks. One of their victories was celebrated with “palm-branches” (1 Macc. 13:51). In Jesus’ day, the Jews were under the power of Rome, and they were looking for the Messiah to defeat the Romans. Jesus came to bring salvation from sin, not salvation from Rome. After this I looked, and behold, a great multitude that no one could number, from every nation, from all tribes and peoples and languages, standing before the throne and before the Lamb, clothed in white robes, with palm branches in their hands, crying out with a loud voice, “Salvation belongs to our God who sits on the throne, and to the Lamb!” (Rev. 7:9-10). “You know that the rulers of the Gentiles lord it over them, and their great ones exercise authority over them. It shall not be so among you. But whoever would be great among you must be your servant, and whoever would be first among you must be your slave, even as the Son of Man came not to be served but to serve, and to give his life as a ransom for many” (vv. 25-28). Jesus is a different kind of king, and he expects his followers to be a different kind of people. The people of Jesus' day had a wrong expectation of what the Messiah would be. We must not have a wrong expectation of what Jesus' followers are to be. We are to be like him: servants. All four Gospels give an account of the triumphal entry (Matt. 21:1-11; Mark 11:1-11; Luke 19:28-40; John 12:12-19). The “donkey” of Zechariah 9:9 is contrasted with the “war horse” of Zechariah 9:10. Craig L. Blomberg, Matthew (NAC), 313. We will soon be entering the Holy Week. This year, you might want to follow this harmony of the events of the Holy Week  as part of your Easter celebration. “Blessed are the pure in heart, for they shall see God” (Matt. 5:8). The sixth beatitude is “Blessed are the pure in heart, for they shall see God” (Matt. 5:8). When Jesus spoke these words, he was probably thinking of Psalm 24. This psalm refers to a person with “a pure heart” (v. 4), who “will receive blessing from the LORD” (v. 5) and “seek[s] the face of the God of Jacob” (v. 6). Jesus didn’t say that the outwardly pure would see God. He said “the pure in heart.” The heart is “the core of a person, that place from which we feel and think and determine out actions.”  The heart is who we really are. All of us, to some degree, are concerned with our outward appearance. But how concerned are we with our hearts? “Man looks on the outward appearance, but the LORD looks on the heart” (1 Sam. 16:7). Throughout the Gospel of Matthew, Jesus emphasized the importance of the heart. He taught that his followers are to strive for inward purity. “You have heard that it was said, ‘You shall not commit adultery.’ But I say to you that everyone who looks at a woman with lustful intent has already committed adultery with her in his heart” (Matt. 5:27-28). All sin begins in the heart. Sinful desires often lead to sinful actions. The scribes and Pharisees were satisfied with being outwardly pure. Jesus called them hypocrites. “Woe to you, scribes and Pharisees, hypocrites! For you clean the outside of the cup and the plate, but inside they are full of greed and self-indulgence. You blind Pharisee! First clean the inside of the cup and the plate, that the outside also may be clean. “Woe to you, scribes and Pharisees, hypocrites! For you are like whitewashed tombs, which outwardly appear beautiful, but within are full of dead people’s bones and all uncleanness. So you also outwardly appear righteous to others, but within are full of hypocrisy and lawlessness” (Matt. 23:25-28). What Does It Mean to Be "Pure in Heart"? You can buy "maple flavoured syrup" or "pure maple syrup." Maple flavoured syrup" It’s packaged to appear like it’s maple syrup, but it really isn’t. The person who is “pure in heart” is what he or she claims to be (unlike the scribes and Pharisees, who were hypocrites). Purity of heart is sincerity of heart. The person with a pure heart just doesn’t claim to love God. He or she really does. In Psalm 24, the person who has a pure heart “does not lift up his soul to what is false [i.e., an idol]” (v. 4). His heart is devoted to God, not an idol. Citizens of God’s kingdom sincerely love their King. We do not by nature have pure hearts. “The heart is deceitful above all things, and desperately sick” (Jer. 17:9). We need new hearts. God saw this need and promised that there would come a time when his people would receive new hearts. “I will sprinkle clean water on you, and you shall be clean from all your uncleanness, and from all your idols I will cleanse you. And I will give you a new heart, and a new spirit I will put within you. And I will remove the heart of stone from your flesh and give you a heart of flesh” (Ezek. 36:25-26). There is a connection between having a pure heart and seeing God. When your heart is devoted to someone, you long to see that person. A woman is apart from the man she loves, longs to see him. Only those who truly love God long for the blessing of seeing him. The pure in heart are blessed because “they shall see God.” The apostle John writes, “No one has ever seen God” (John 1:18; 1 John 4:12). And the apostle Paul says that God “dwells in unap-proachable light, whom no one has ever seen or can see” (1 Tim. 6:16). Moses was given a glimpse of God’s glory, but God told him, “You cannot see my face, for man shall not see me and live” (Exod. 33:20). But one day, all of God’s people “will see his face” (Rev. 22:4). The greatest blessing a human could ever experience is to see God. But if your heart isn’t devoted to God, then the thought of seeing God isn’t very exciting. It’s a sign that you’re devoted to an idol. Some people make a “bucket list.” It’s a list of things you want to do before you “kick the bucket.” It would be nice to see all of earth’s amazing places before I die. But I also believe that death is not the end. In this life, I won’t see everything I’d like to see. But that’s alright because I know I’ll see God. And I’ll enjoy the new heavens and new earth without having to worry about death again. So I don’t really need a bucket list. John Nolland, The Gospel of Matthew: A Commentary on the Greek Text, 205. Jesus also said, “Out of the abundance of the heart the mouth speaks” (Matt. 12:34). James writes, “Purify your hearts, you double-minded” (James 4:8). Charles L. Quarles, Sermon on the Mount: Restoring Christ’s Message to the Modern Church, Kindle location 1402. “Blessed are the merciful, for they shall receive mercy” (Matt. 5:7). One of the problems in our world today is hunger. According to the United Nations Food and Agriculture Organization, about 805 million people of the 7.3 billion people in the world suffered from chronic undernourishment in 2012-2014. That’s one in nine people. But did you know that there is enough food in the world to feed everyone? World hunger is a solvable problem. There are many reasons for world hunger. But one of the most basic reasons for world hunger is that there is a lack of mercy in the world. Scripture presents God as a God of mercy. David declared, “The LORD is merciful and gracious, slow to anger and abounding in steadfast love” (Ps. 103:8). The greatest demonstration of God’s mercy is the cross. We “were by nature objects of wrath” (Eph. 2:3). We were helpless and hopeless. “But God, being rich in mercy, because of the great love with which he loved us, even when we were dead in our trespasses, made us alive together with Christ” (Eph. 2:4-5). As Christians, there is always the danger of losing sight of what is most important. This is what happened to many of the religious leaders of Jesus’ day. They were very good at doing religious things, but they weren’t good at showing mercy. Citizens of God’s kingdom are to value mercy over empty religion. In Matthew 9:10-13, Jesus rebuked the Pharisees who would rather avoid “sinners” than show them mercy. In Matthew 23:23-24, Jesus pointed out the hypocrisy of the scribes and Pharisees, who were careful to tithe their spices while neglecting to have mercy. In the parable of the Good Samaritan, the priest and the Levite—two religious men—chose not to show the injured man mercy. "Which of these three [the priest, the Levite, or the Samaritan], do you think, proved to be a neighbor to the man who fell among the robbers?” He said, “The one who showed him mercy.” And Jesus said to him, “You go, and do likewise” (Luke 10:36-37). Some people think that the fifth beatitude teaches that God’s mercy is earned. But this goes against the clear teaching of Scripture that salvation is by grace through faith. The story of the unforgiving servant (Matt. 18:21-35) teaches us that we should show mercy to others because God has shown mercy to us. Showing mercy to others is evidence that we have received mercy. By this we know love, that he laid down his life for us, and we ought to lay down our lives for the brothers. But if anyone has the world’s goods and sees his brother in need, yet closes his heart against him, how does God’s love abide in him? Little children, let us not love in word or talk but in deed and in truth (1 John 3:16-18). Each week we plan to do spend our time doing many things: complete a project, go to a movie, watch a hockey game on TV, spend time doing a hobby, or go shopping. But how often do we plan to do something that will show mercy to someone else? R. K. Hughes, The Sermon on the Mount: The Message of the Kingdom, 46. Michael J. Wilkins, Matthew, 208. See Matthew 9:27; 15:22; 17:15; 20:30. “Blessed are those who hunger and thirst for righteousness, for they shall be satisfied” (Matt. 5:6). Most of us really don’t understand what it’s like to hunger or thirst. How many of us have gone twenty-four hours without eating or drinking? To what kind of righteousness does the fourth beatitude refer? In Scripture, there are three kinds of righteousness: (1) legal righteousness (known as justification), (2) moral righteousness (known as sanctification), and (3) social righteousness (e.g., helping the poor). The word “righteousness” occurs four more times in the Sermon on the Mount. “Blessed are those who are persecuted for righteousness’ sake, for theirs is the kingdom of heaven” (5:10). “For I tell you, unless your righteousness exceeds that of the scribes and Pharisees, you will never enter the kingdom of heaven” (5:20). “Beware of practising your righteousness before other people in order to be seen by them, for then you will have no reward from your Father who is in heaven” (6:1). “But seek first the kingdom of God and his righteousness, and all these things will be added to you” (6:33). The context suggests that “righteousness” in the fourth beatitude refers to moral righteousness. D. A. Carson defines this righteousness as “a pattern of life in conformity to God’s will.”  Basically, this kind of righteousness is right living. 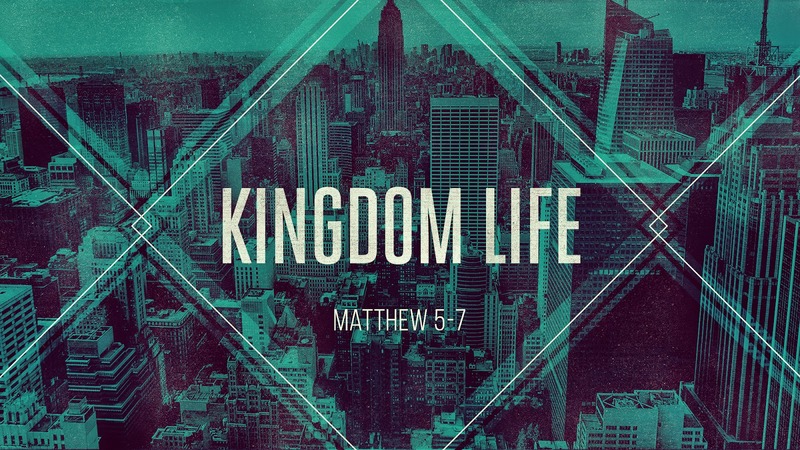 Citizens of God’s kingdom are to have an intense longing to obey God's will. To some, desiring moral righteousness is like desiring vegetables. In other words, obeying God’s will is something a Christian should do (like eating vegetables), but it’s not really enjoyable. However, the closer you get to God, the more desirable righteousness becomes (see Isa. 6:1-5). If you’re hungry or thirsty, what do you do? You get something to eat or drink. Your desire (for either food or drink) drives you to action. What if you were stranded on a deserted island and you discovered some fruit high up in a tree? You would do everything you could do to get that fruit. In the same way, our hunger and thirst for righteousness should drive us to action. Jesus says that those who hunger and thirst for righteousness “shall be satisfied.” We who have put their faith in Christ are both satisfied (because of our justification)  and not satisfied (because of our imperfect sanctification). We look forward to the day when Christ returns when we will be completely satisfied (when sin and injustice will be no more). When Jesus lived on this earth, he always obeyed the will of the Father. He said, “My food is to do the will of him who sent me” (John 4:34). Jesus desired to do the Father’s will more than he desired to eat. To live a life in obedience to God’s will is to be like Jesus. You got to see that’s how I dream to be. Like Mike, if I could be like Mike. Kids want to be like their favourite athlete. So Gatorade was hoping kids would think, “If I drink Gatorade, I’ll be like Michael Jordan!” As Christians, we want to be like Jesus. Jesus’ food was to do the Father’s will. We must long for this same food. John Stott writes about these three kinds of righteousness in The Message of the Sermon on the Mount, 44-45. D. A. Carson, Jesus’ Sermon on the Mount and His confrontation with the World, 23. Jesus declared, “I am the bread of life; whoever comes to me shall not hunger, and whoever believes in me shall never thirst” (John 6:35). A digitally remastered version of the commercial was re-aired during this year’s NBA All-Star Game.